This is for Day 16. 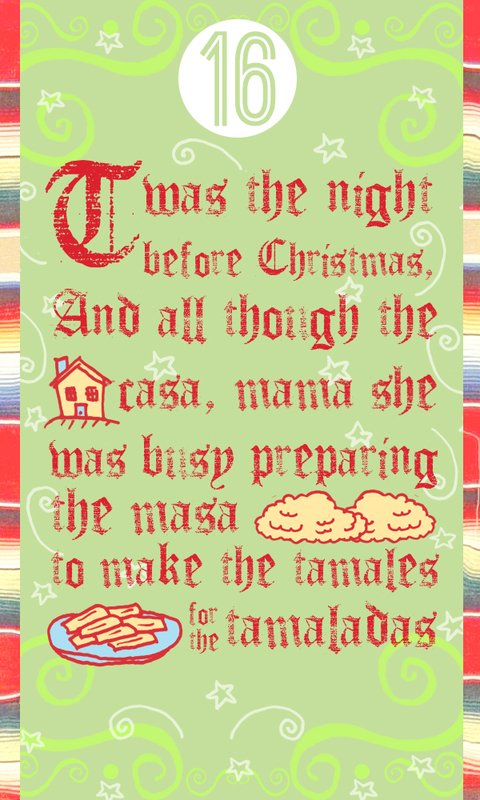 This is the Chicano version of ‘Twas the Night Before Christmas’ called ‘Pancho Claus.’ It was written by the Chicano music legend Lalo Guerrero. He is recognized as the ‘Father of Chicano Music.’ And rightfully so because no other Chicano artist has come close to writing and recording songs in every genre of Latin music. ‘Pancho Claus’ was one of the many children’s songs that he wrote. He was the best. And many present day Chicano artists thank him for opening the door to present day Chicano music.